You have a store. You want your pages to rank in Google. How do you go about doing it? Generally speaking, ecommerce stores usually come pre-loaded with product descriptions provided by the manufacturer. A quick search on Google will usually reveal that it’s all 100% duplicate content, as found on many other sites. How do you rank such a thing? You don’t. Instead, you start a blog that will promote the products in your store. Instead of ranking the store pages, you’ll rank your blog. This solves the numerous problems one faces in promoting a typical ecommerce store, in most cases. Perhaps you aren’t convinced — or you have a boss that is demanding that you rank the actual store itself. You have no option other than to promote the store, either that or you need some really good evidence to present to your boss why directly ranking the store is such a bad idea. I’ll arm you with ammunition you need to make your case. 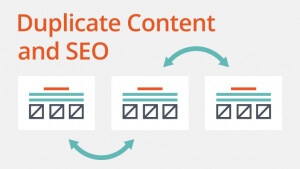 Duplicate content will prevent your site from ranking. You may have the option to re-write descriptions provided by the manufacturer. However, after you’ve corrected your first product description — there may be thousands of other products waiting to be corrected. A site that has 1 proper article, and 1999 duplicate articles, will never rank. No matter how many of those articles you start fixing, the duplicates will always be a negative factor, which will cause the other pages on the site to not rank. Here, Cutts is explaining the proper use of duplicate content. When you’re discussing someone else by blockquoting (just as I did above), the text within that blockquote is duplicate content, but it is not hurting the site — in fact, he goes on to say it is helpful. the problem is that if you are automatically generating stuff that is coming from nothing but an RSS feed, you’re not adding a lot of value, so that duplicate content might be a little bit more likely to be viewed as spam. The part you should focus on is “not adding a lot of value”. If you’re providing duplicate content without providing it in a blockquote and doing a further explanation of it — if the duplicate is the only content found on the page, then it is “more likely to be viewed as spam”. The truth is, if you have a product store that is offering the same product as hundreds, or even thousands of other sites on the internet — as well as Amazon and other higher ranking stores, you have to provide some extra value along with it. That extra value could be a blog post, further explaining the benefits of the product, or giving it a review. However, just spitting out the duplicate content description on a page and expecting it to rank isn’t going to happen, even with many links. It’s an extremely common occurrence for a store to present information in a tabbed format. Typically, a product description might be shown on the first tab. On the second tab would be product specifications. The third tab may be reviews of the product (which are also duplicate content, found on other sites). The mere fact that the template is hiding so much content is a negative ranking factor. 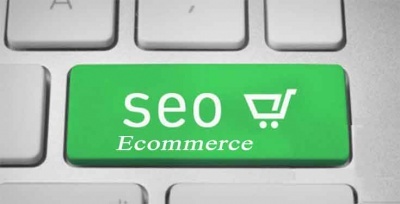 Trying to wrestle with Magento, or other ecommerce templates, so they provide decent SEO can be difficult. For instance, it is much harder to find an expert in Magento than WordPress. This is because there are far more WordPress designers than there are for ecommerce solutions. The lack of availability makes their rates skyrocket. It’s likely you wouldn’t even need help with a WordPress template, and I have created a guide on how to optimize your WordPress blog for SEO. Ecommerce sites do have one thing going for them. They’re great at conversion. When someone is looking at your site, ready to buy, they could care less if your content is duplicate. It doesn’t matter to them that the product description can also be found on thousands of other sites. 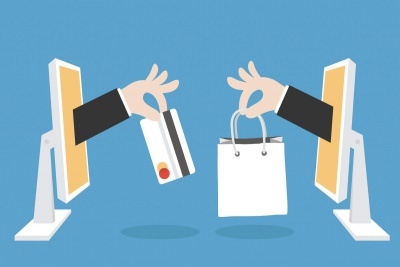 Once you get them to your store, the job is done — and if they were going to buy, they’re most likely to do so from your ecommerce store, rather than your blog. On the other hand, a blog is great for SEO purposes. It is much easier to write a long post, covering many long tail keywords and interlinking to other various blog posts you’ve made that are related to the post. This is the type of thing that Google eats up. 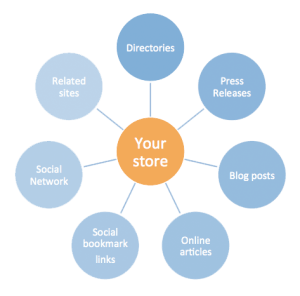 Your main goal, however, should get them off your blog and onto your store. The store has a higher chance at converting the visitor into a buyer. I’m big on ecommerce sites — with blogs that feed into the ecommerce site. I’ve tried having a checkout from the blog directly to cart. I’ve also tried sending them from the blog to a store, where many products are featured. As it turns out, sales are much higher when someone is in a store template. They happen to see many related products. Words aren’t cluttering the screen — pictures of the products are more motivating. When I go directly from blog to cart, I only sell that one product. When I go blog, to store, to cart — many extra products are often purchased. The difference in sales is so dramatic, that I always go from blog, to store, to cart on every one of my personal projects. In my opinion, this is the best way to promote an ecommerce site. I’ve built another guide which talks about selecting the right keywords for your ecommerce site. Some of the points made in the guide are that you should pursue broad category terms, instead of focusing on product names. It is easier to rank for broad categories, as Amazon often has a strangle-hold on exact product names. There are many more advices in that guide, and I would highly recommend checking it out!